As sister to the Duchess of Cambridge, Pippa Middleton generally prefers to keep a low profile in her private life. The new mum usually only makes public appearances at big family events or society events – such as Princess Eugenie’s recent wedding. But recently, the 35-year-old was spotted out and about in London on a stroll with her new family, husband James Matthews and newborn son, Arthur Matthews. And for the leisurely afternoon walk around the capital, Pippa actually opted for a super-chic high-street coat, from one of our favourite retailers. While she usually favours designer brands and high-end fashion (she is worth around £1 million on her own, after all), the mum-of-one chose a coat from a shop both she and her sister Catherine love, Zara. Far from being a pricey pick, the gorgeous camel coat is actually one of the most affordable items we’ve ever seen Pippa wear. 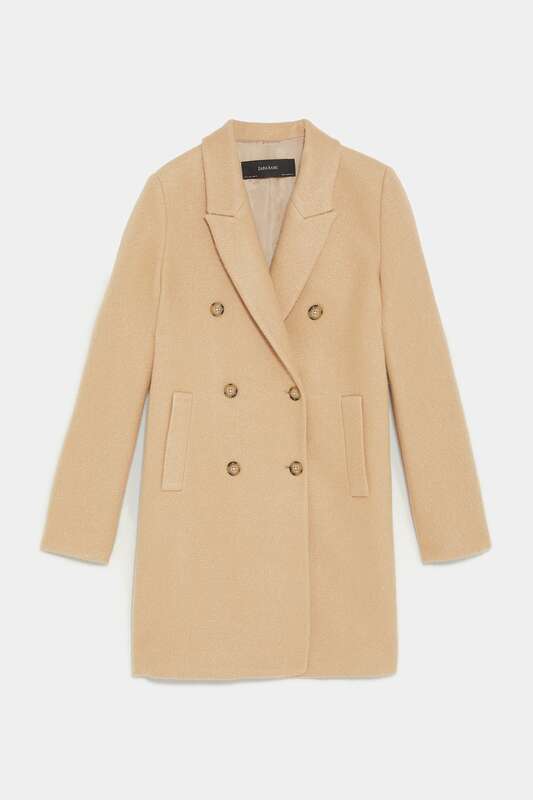 The beige, double-breasted coat is on sale for just £49.99 – down from £69.99! At the moment, Pippa’s coat is still on sale in sizes XS – L – but has already sold out in an XL and XXL. So you may want to be quick if you want it for yourself! And in our opinion, it’s one of the most versatile things you could buy this winter. A camel coat is timeless, and can be easily paired with almost any outfit – whether it’s a top and jeans like Pippa, or a smarter dress, or skirt. Or, layer it with a scarf and jumper for the colder weather – however you decide to wear it, it’ll work in your wardrobe for years to come. Pippa’s appearance comes just a day after her mother, Carole Middleton, took part in her first UK interview in years. For the interview’s photoshoot, the 63-year-old Middleton matriarch was wearing a Goat dress that her daughter, the Duchess of Cambridge, wore on a royal engagement a few months ago. It seems the Middleton ladies all love to share their wardrobe choices!